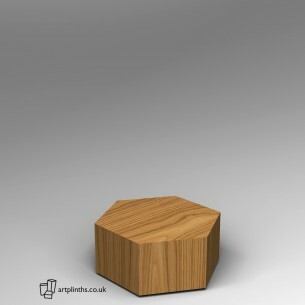 European Oak comes as standard or choose different real hardwood veneer species from the drop down menu. 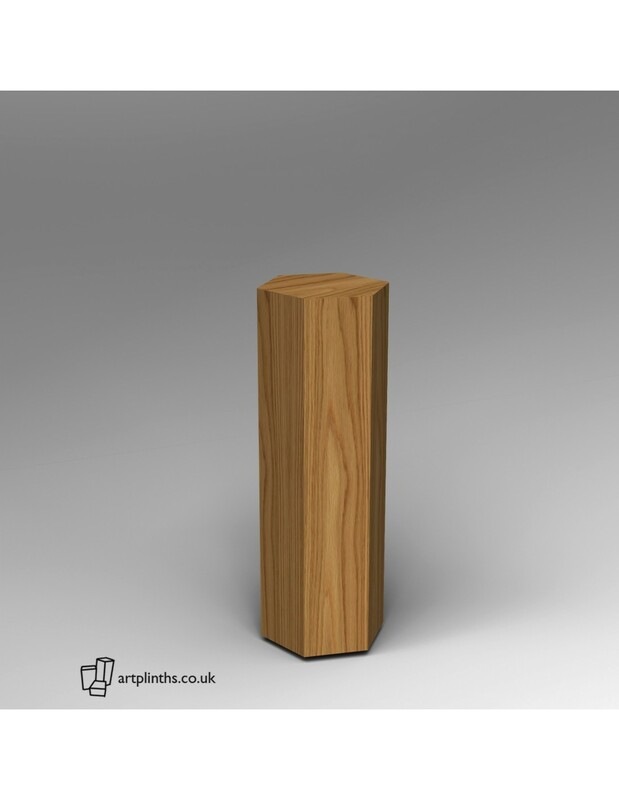 This 6 sided plinth is 100cm height x 30cm across the opposing flat parallel sides or TBC from point to point. Artplinths' real-wood veneered plinths are handmade by craftsmen to museum standards. 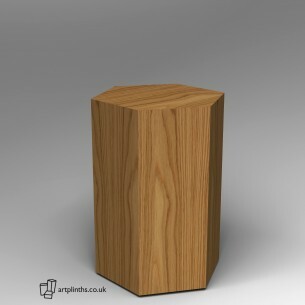 Made in-house in our London workshops, these hardwood pedestals are fully mitred, seamless and fine finished. After much research we’ve sourced a subtle yet hardwearing finish that really flatters the crown- cut veneers we use, and adds a depth and beauty to the patina usually associated with a waxed or Danish-oiled surface. This finish provides long-lasting protection and is resistant to moisture and most household chemicals. After carefully filling and sanding we leave the woodwork in its natural state. This is becoming increasingly popular and is a low-cost solution. 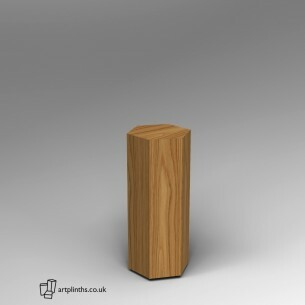 Plinths are supplied ready for you to apply your own specialist finishes. 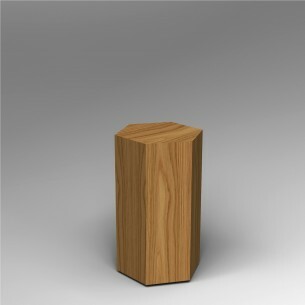 Please note: real-wood veneers are a natural wood product and can vary in colour, grain and patina. 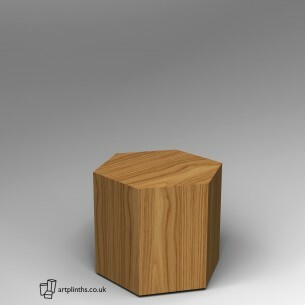 Unfinished plinths will be lighter and paler in colour, consistent with the natural wood. 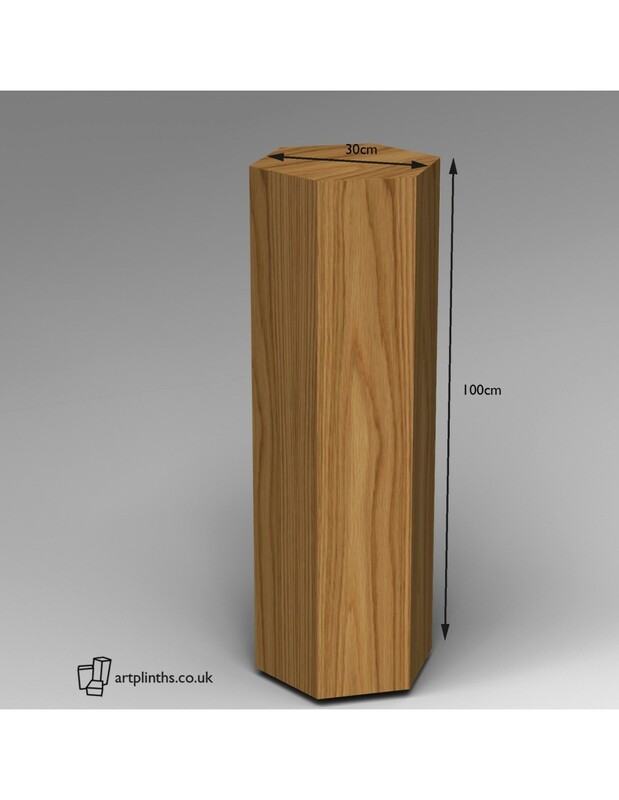 Our plinths have a simple removable shadow gap: they can sit directly on the floor or for AV cables or aesthetics they can be raised 6mm or more (no more mouse holes for cables). Artplinths can be adapted for a multitude of applications, We can supply plinths in ZF formaldehyde-free and fire retardant MDF and other materials in any size colour or finish. We can adapt for heavy-duty use please ask as these are custom made. 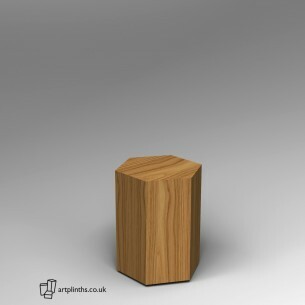 We have produced bespoke plinths for loads up to 2 tons. Museum-quality display plinths, proudly made in London. Artplinths | London Art Workshop is a London Living Wage Employer.